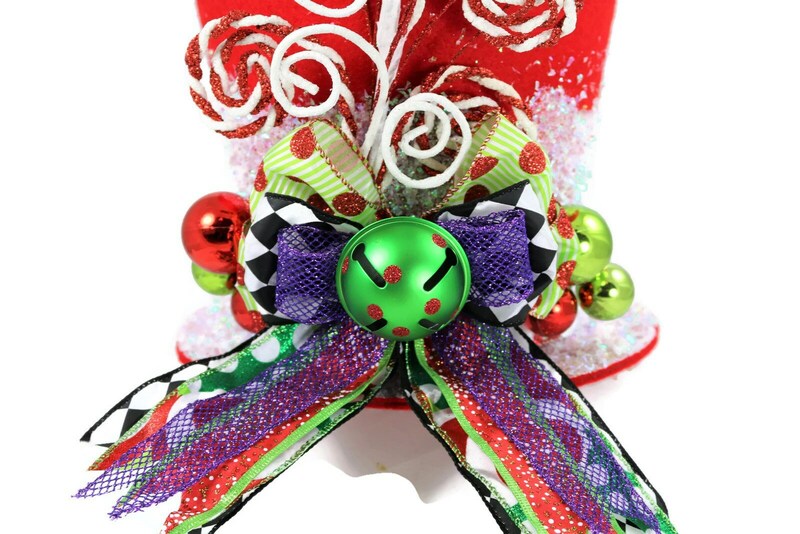 This topper is a one of a kind. It is a 9in topper. 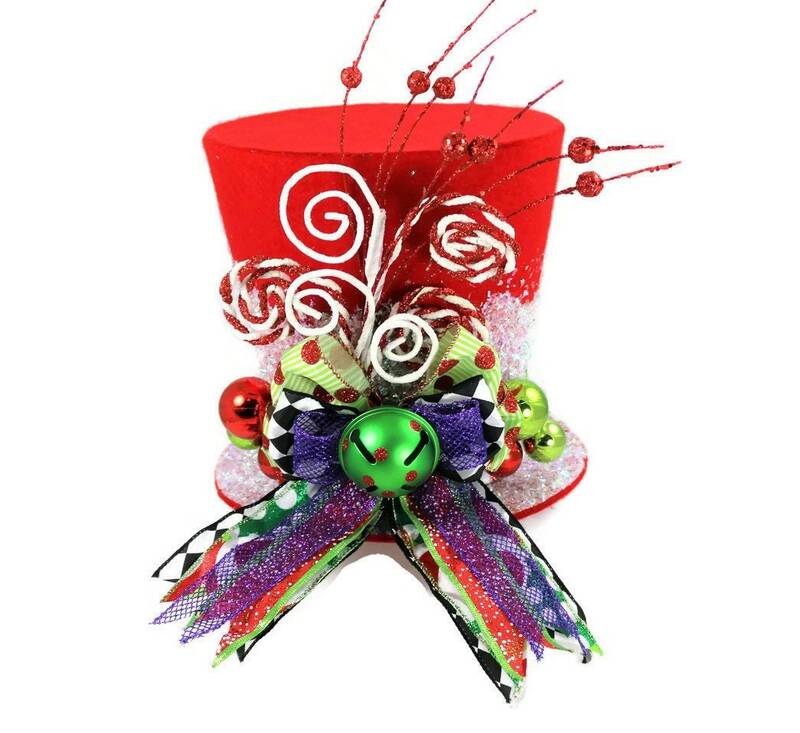 Are you looking for the tree topper that will truly make that beautiful Christmas tree shine. 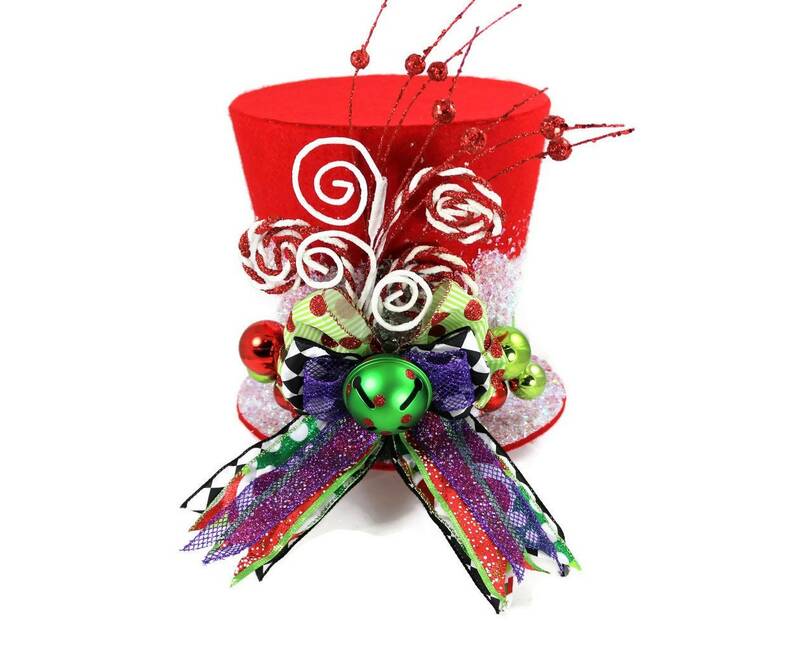 This tree topper is hand crafted from scratch and designed by me to help create that finishing touch to your design. 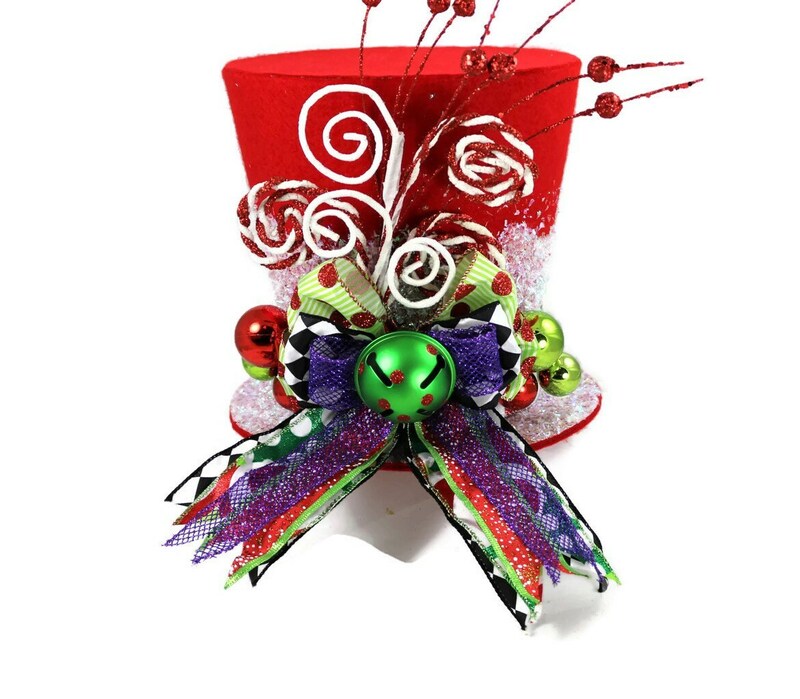 I had a lot of fun making this topper unique and fun with all the different ribbon designs and colors. 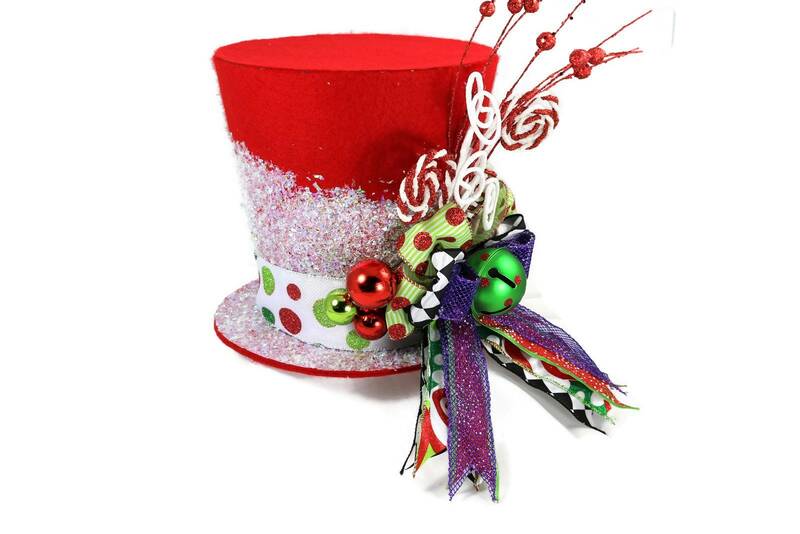 The top hat is covered in sequin fabric to add a bit more bling to its already eccentric style. 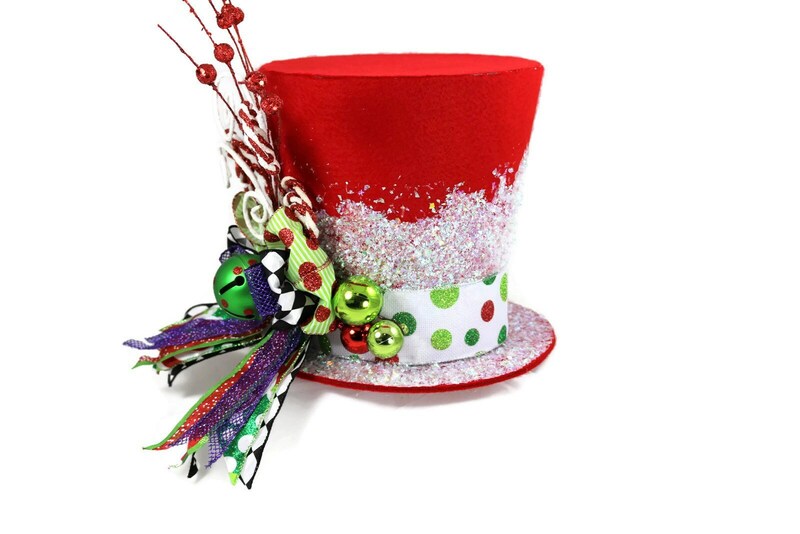 Have fun with this topper and enjoy it for years and years to come.